On Friday, Capcom announced Resident Evil 4: iPad Edition. According to Capcom, this $3 iPad launch title features improved graphics and new “high-resolution art” that the company hopes will offer a “more immersive” and terrifying survival horror experience. Far removed from the ruins of Raccoon City, the setting of the previous entries in the Resident Evil series, Resident Evil 4 takes place in an undisclosed Spanish-speaking village in Europe. You play as Leon S. Kennedy, former police officer and now a special U.S. agent tasked with saving the President’s kidnapped daughter. While exploring the seemingly sleepy village, things quickly take a turn for the worse as the townspeople turn on Leon quickly. While fighting for his life, Leon must find the secret behind the cult known as Los Illuminados and find the President’s daughter. 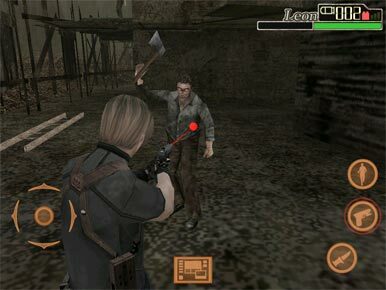 The Resident Evil series has sold over forty million copies worldwide, including the popular iPhone and iPod Touch titles released last year. The iPad version features not only more robust graphics, but Capcom claims to have listened to user feedback from the App Store and changed the interface of the game. Now, you can run and shoot, climb ladders, jump out windows, and more fully engage your environment. Perhaps most importantly, the Visual Pad control system has been overhauled, hopefully leading to more exact aiming. Resident Evil 4 is often considered not only the best game in the series, but one of the best survival horror games of all time. With its intuitive “over-the-shoulder” aiming mechanic, a compelling plot, and great visuals, Resident Evil 4: iPad Edition should be on the short list for every iPad-owning horror fan.